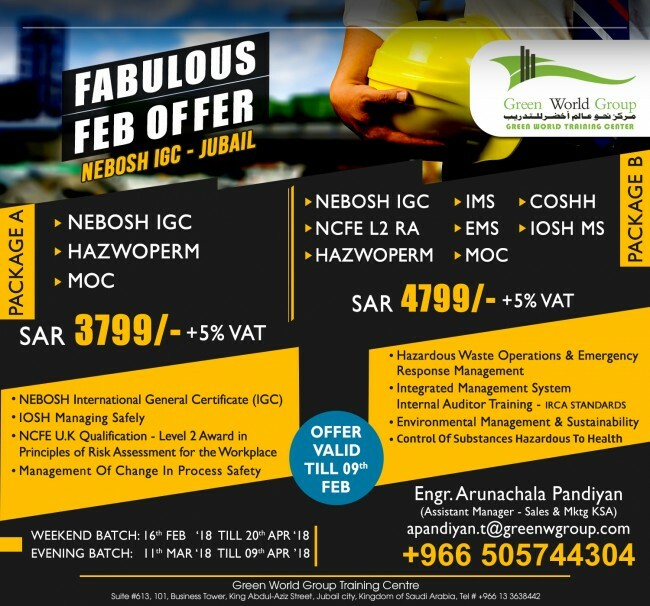 You are here: Home / NEBOSH course in Jubail / UNBELIEVABLE OFFER !!!.. JOIN TODAY @ NEBOSH IGC – JUBAIL!!.. Unlimited training until You pass all the papers* !!.. Tel # +966 13 3638442.